A panic attack refers to an abrupt episode of intense fear and unease that typically reaches its peak within minutes. During such an attack, affected children and adolescents typically experience many uncomfortable physical sensations—for example, shortness of breath, sweating, pounding heart, trembling, nausea, dizziness, or chills—and may fear they are going “crazy” or even dying. 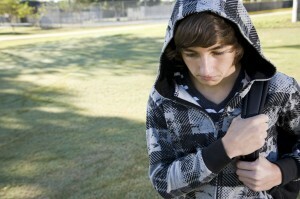 During panic attacks, children and adolescents can feel like they are “losing control” or that things aren’t even real. Panic attacks are not caused by medical conditions or health problems and can occur any time. When children and adolescents experience recurrent unexpected panic attacks, and they experience persistent worry about future attacks and their implications, or substantially change their behavior or routines so as to avoid potential attacks, a diagnosis of panic disorder may be warranted. Panic disorder can be associated with considerable life impairment, reduced quality of life, and interference with family, school, and peer functioning. If you think your child may suffer from panic disorder, please call us at 305-348-7836, or email us at TheMintProgram@gmail.com. We can help!